Installed this chunky and strong railing on the landing of a staircase. This is made from 3-inch round tube with steel balls at the corners. It makes for an easy to grab railing. 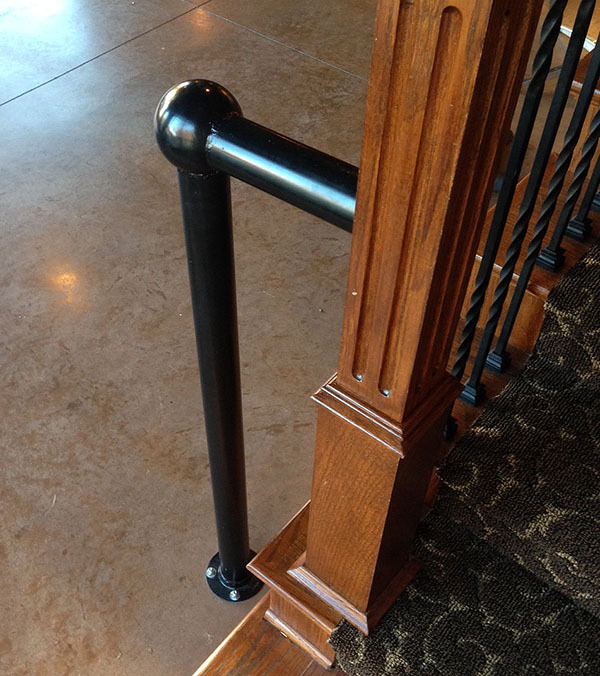 The rails are bolted to the floor and to the wall and newel post. A glossy black enamel paint finishes them off.